But let us not be fooled by Victorian notions of a quaint Christmas. The prince of peace came into a violent world. From the beginning he was victimized by those in power; Herod was after him and slaughtered the innocents. Jesus was born as a poor minority, unvalued and cast off by the empire. He died violently next to criminals. As we approach Christmas day, there is still violence–real and horrible violence. Today I received word from my Anglican communion that the former Archbishop of Nigeria was kidnapped with his driver and is being held by his captors. Pray for him. Christians are undergoing real persecution worldwide. My heart is heavy for the church, including for my own American church. As we approached the celebration of the Prince of Peace, as we sit in a world where brothers and sisters undergo actual persecution, we in the USA bluster about secular media and millionaire reality tv stars. Somehow we’ve made ‘Merry Christmas’ a weapon in the culture wars. We’ve heard the cry of the humble peacemaker as a call to arms. How does Jesus make any difference in these petty disputes? In these endless culture wars? How can the peacemaker, the one who lays down all power, be heard in our angry shouting? He did not come to make a Christian America. He did not come for ‘God and country.’ He did not come for our prosperity. He came in self-emptying and in humiliation, to make a new world and to bring a new kind of peace–not the peace the world grasps at, not a peace through violently asserting our own rights, a subversive peace, a peace that comes through death and resurrection. I want us to be a different kind of people. Yes, a people marked by sexual purity and holiness, which the world will condemn as foolishness or worse. But also a people who go out of our way to be honest, kind, and generous. A people who aren’t interested in maintaining our own power, even a people who aren’t surprised when we’re misunderstood, misrepresented, or when persecusion comes. Our King promised it would. A people who respond with more than tolerance–with lavish, incomprehensible love for our enemies. Not a people who are smug in our judgements, self-satisfied in our own rightness, but a people marked by a hunger, a longing to be filled, like a baby longs for his mother’s milk. 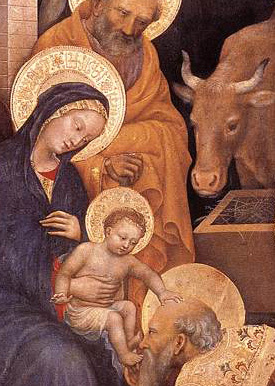 We must live by a different narrative—the story of the infant King, the Risen One. But as we marched into our high season of worship celebrating the incarnation, it was the same old culture warring. Here’s my guess: Both sides are wrong. Few on either side would recognize the God who self-emptied, who laid down rights, who laid down privilege to love his enemies. But isn’t that why we need him? We need that kind of God. We’re all wrong. We’re all angry. We’re all in the war—even those of us who like to think ourselves pacifists. I’m disappointed that the celebration of the peacemaker became another hand-wringing exercise in the self-styled ‘enlightened’ liberal, broad-minded believers against the self-styled conservative, biblical, bold, zealous believers. My heart aches. In the trumpeting of our own rightness, the jostling to be on the correct side of history, did we miss the distant call to prepare ye the way of the Lord? Is there ever enough silence to hear it in this loud world? In the shouting back and forth, we missed a time to prepare our hearts, to accept misunderstanding with good humor and warmth, to be a different kind of people, an unpredictable people, a surprising community. We missed a moment to prepare for the Prince of Peace to be celebrated, even in our warring world. We are all so predictable. But what happened in Bethlehem was profoundly unexpected. I hope we can find the shock of it, the wonder of it, again. May it still leave us reeling. My seminary had a church fair where local churches would set up a booth and new seminarians could walk around the room and view church options in order to decide where to visit. It was like any farmer’s market if you simply replace cabbages with congregations. I remember being bothered at the fair and not just by the obvious problems of church as consumer product. It bugged me that all of the folks at the booths were apologizing for or distancing themselves from their tradition and denomination. Most churches were vaguely named things like, “New Life Community” and “Grace Fellowship” and “Boston Life Church” and when I’d ask what denomination the church was in they’d say, “Well, we’re Baptist but we’re not really Baptist. We don’t care about being Baptist” Or “technically, we’re Methodist but you don’t have to be a Methodist. We’re, you know, just a loving church.” It’s not that this kind of denominational ignorance –and I mean that in the literal sense of ignoring something- is surprising. For certain situations, I think it may even be advisable. In the post Christian context of New England, churches should invite all under the banner of Christ not squabble over denominational distinctives. But this wasn’t a fair for the general public. This was a fair for seminary students. A seminary professor of mine used to say, “every one stands somewhere so know where you stand and pivot from there.” What he meant is that all people and all churches are part of a tradition. Even the newest, most individual, most expressive First Emergent Church of the Super Cool Hair comes from a long line of presuppositions and men and women who thought, prayed, sought God, made mistakes, corrected, overcorrected, and lived lives. And by long line I mean thousands of years. The point is that tradition matters and that you have one whether you know it or not. In the past month a close friend questioned all the ‘ritual’ in my church asking didn’t Jesus die to get rid of all that? But her church, though a ‘low’ church, is just as ritual laden. It comes from a particular Western democratic, individualist tradition. It’s worship is fraught with methods and choices that seem to her a given -the way “true worship” is done, but is no more of a given than using a censor in an Orthodox church or a Quaker silent meeting or a slain in the spirit kind of service or Lessons and Carrols in an Anglican cathedral. The question is not if we’ll have a tradition but whether we will understand it, know it self-consciously, and embrace it as our own. Doing so helps us to better identify our blind spots, but it also allows us to more fully embrace worship. We recognize how we worship an eternal, omnipresent God in our little traditioned moment of finite (but deeply valuable) worship. Understanding our worshipping tradition invites our imaginations into a story that proceeds us and will continue after us. 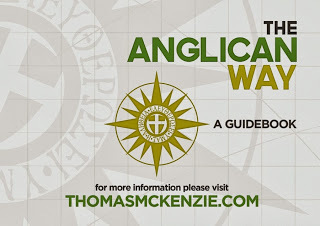 That’s part of why we gave to Thomas McKenzie’s Anglican Way project. Because we get asked about Anglicanism a lot. I have a lot to learn about Anglicanism myself. And he is the perfect teacher. He’s our friend and an amazingly gifted preacher. But more importantly, he knows the breadth of his tradition from his lifetime of experience in Anglican churches of all sorts. He’s a clear and inviting writer. And he cares about tradition as a means to more fully worship Jesus. Not the other way around. So, give him money. Let’s get this book published. I need it. And the church needs it. And the fair at my seminary needs it. So, let’s do this. Tish just had an article published for the first time with Her.meneutics, Christianity Today’s faith and culture blog for women, which is, if I may so, a big stinkin’ deal. It’s not about the Miley Cyrus VMA debacle, but that is its launching off point. Why is it that in pop culture, becoming a woman is synonymous with becoming the object of male lust? What resources does the church have at its disposal besides knee-jerk condemnation to address this troubling cultural phenomenon? These are the questions Tish capably addresses in this article. What hath Miley Cyrus to do with confirmation? Come and see. Puzzling to anyone opening the pages of Scripture is the fact that there are four books, all of them differing from one another to varying degrees, that bear the name ‘gospel’. From the earliest generations of the church, there have been attempts to harmonize these accounts to form a single ‘life of Christ’. To some degree, this is an unavoidable and even desirable task. Harmonies of the gospels, e.g. 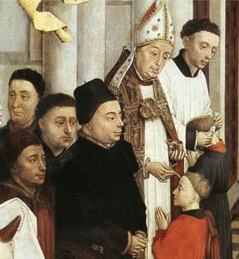 by Augustine and Calvin, both attempt to make sense of the welter of events within the life of Christ and account for the nature of his ministry. So long as these harmonies acknowledge the diversity of the sources and do not attempt to flatten them, these can be helpful. After all, we do not actually have four gospels, but one gospel pronounced by four sources – Matthew, Mark, Luke and John. There are worse ways to harmonize, however. Tatian and Marcion in the early church both attempted to harmonize the gospels in order to declare the fourfold gospel of the church anomalous, to privilege one flattened account as the gospel that suited their own theological purposes. There is yet another way to do injury to the gospels – to see the particularity and diversity of the gospels as mutually exclusive and as evidence of fissiparous tendencies in the early church so as to undermine the cogency of the single gospel expressed in four sources. The church has always acknowledged the close similarity between Mathew, Mark, and Luke and the divergence of John, but it has also always seen these four accounts as the revelation of God and hence as complementary rather than competitive. Modern higher criticism sees them as texts among others in the late antique world and hence evaluates them solely as human productions. Hence the rise of the so-called ‘synoptic problem’ in which dating Matthew, Mark, and Luke become a key focus. 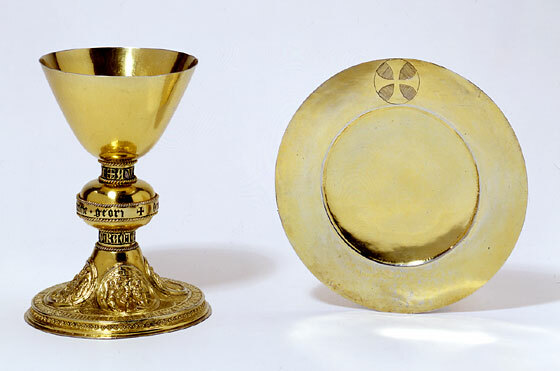 Source criticism in particular can fragment the unity of the gospel by positing diverse communities that produced the material shared between Matthew and Luke but not in Mark (Q) and the material in Luke but not in Matthew (L). Despite the fact that there is no manuscript evidence to back up this claim, as Philip Jenkins has argued, scholars have attempted to reconstruct the content of these texts, imagining that the Q community, for instance, possessed a theology similar to that expressed in the Gospel of Thomas. What would happen if we returned from scholarly skepticism, not by ignoring the insights of historical criticism, but in order to see these texts freshly as God’s revelation to the church? We might see merit in the third century church father Irenaeus’s proposal of how we should understand the way the gospels fit together. Irenaeus argued, in a complex weaving of biblical texts, that one should see in the four faces of the cherubim an image of how the gospels fit together. The faces of the cherubim – a lion, an ox, a man, and an eagle (Rev. 4:7) – reflected salvation history which was gathered together and fulfilled in Jesus Christ. Scholars have struggled to find the meaning of Irenaeus’s argument here, and have often stated it only to dismiss it as infantile or argumentatively feeble (one is reminded here of Charles Augustus Briggs’s quip that the church fathers should really be called the ‘church babies’ since they didn’t have access to historical critical textual methods). The reality, however, is that Irenaeus is on to something in this exegetical insight. Peter Leithart has recently made a profound argument for its retrieval in The Four: A Survey of the Gospels. Leithart notes that ‘the ox is a ‘priestly’ animal, associated with sacrifice and especially with the priests’ sacrifice (cf. Lev. 4). The lion is a symbol of the Davidic dynasty, the ‘lion of the tribe of Judah’ (Gen. 49.9; Rev. 5.5), a kingly beast. The eagle is an unclean animal, representing Gentiles, and in some prophetic passages the eagle symbolizes swift invaders (Jer. 48.40; 49.22; Lam. 4.19)’. 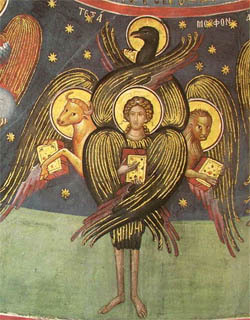 Matthew as the Jewish gospel is the ox, Mark is the lion, Luke is the eagle, and John is the man. The man sums up all of the other three emphases but goes further to give cosmic grounding to the work of Christ. Jesus is the word made flesh, God with us. (113). Thus it is a not a bowdlerized version of the life of Christ that we need to see the whole Christ. Each perspective is ‘symphonic’ in Leithart’s felicitous phrasing, and we need to see each as enhancing the other three: ‘When we read the gospel as a symphony in four movements, we see a growth and maturation. Jesus is the Jewish Messiah; and yet more, Jesus is the Crucified Messiah; and yet more, Jesus is the universal savior; and more, Jesus is the Word made flesh’ (114). We added something to our Advent Wreath this year: it is a bullet shell that has been carved into a small cross by someone who is involved in a peacemaking organization (I believe in sub-Saharan Africa). It felt appropriate in light of all the recent and tragic violence to put it by the wreath this Advent to remember the pain and redemption of violence. Whatever you think of gun control, if you are a Christian, you believe that the gun is not our hope. A gun will not save you or anyone else. And we must, as Christians, confess that we wait for and work for a day when “swords will be beat into plowshares.” If we, as a church, are more focused and committed to the sword than the plowshares we are hoping for, then we, as a church, need to ask what repentance and belief means in this culture and what kind of transformation we are called to embody. There is such pressured craze to be hap-hap-happy as the holidays approach that there is often confusion or even shame about admitting the heartbreak that accompanies this season. I love that the Church, unlike the culture, knows that there can be no feasting without fasting, no celebration without preparation. And so it gives us the season of Advent to admit that things are not the way they are supposed to be. We recall together that the reason that we long for the return of Jesus is because we are in desperate need of a Redeemer and that there is enough evil in each human heart that we all need a savior-not just Adam Lanza or the NRA or the conservatives or the liberals. I need to go no further than my own mind and heart to see the evil that holds the world captive and makes me long for the coming ransom. This Advent is the time to speak frankly of that evil and the grittier hope that has come, is coming, and will come. You are the God of the weak and the vulnerable. You judge the tyrant and the cruel. You wipe away the tears of the broken-hearted. We remember today, O God, the slaughter of the holy innocents of Bethlehem by King Herod. Receive, we pray, into the arms of your mercy all innocent victims; and by your great might frustrate the designs of evil tyrants and establish your rule of justice, love, and peace; through Jesus Christ our Lord, who lives and reigns with you, in the unity of the,Holy Spirit, one God, for ever and ever. Amen. Into your hands, O merciful Savior, we commend these little children. 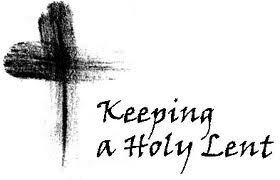 Acknowledge, we humbly beseech you, sheep of your own fold, a lambs of your own flock, sinners of your own redeeming. Receive them into the arms of your mercy, into the blessed rest of everlasting peace, and into the glorious company of the saints in light. Amen. May their souls and the souls of all the departed, through the mercy of God, rest in peace, until the day of the Resurrection. Amen. We have several dear friends who are walking through a little bit of hell right now because of the suffering of their children. When I pray this this December 28, I’ll think not only of ancient Bethlehem, but of Newtown, of Syria, of Darfur, of children who are victimized by those with more power and of our friends right here in Nashville. It is not enough now to focus on our rights or to condemn the “sword”, we all must do the hard daily work of peacemaking. The work of beating a sword into a plowshare isn’t easy. Metal is bent and broken and transformed with effort and pain over time. But this work of redemption is happening even now as God works his good news of peace into every inch of cursed darkness. And that is why we put a bullet on our advent wreath: Because someone who I don’t know did the hard work of making that bullet shell, a symbol of the false power of violence, into an object of worship that speaks of the true power of the redemption of Jesus. And I want my family, my church, and I to be about that same sort of work in small ways everyday. It was bound to happen at some point, I suppose. We haven’t blogged here for the entire month of April. Life has been complete chaos for the past month, largely the result of Tish’s efforts alongside of other campus religious organizations to get the Vanderbilt Board of Trustees to see just how destructive the Administration’s new non-discrimination policy is to religious life on campus. Tish and I have also been writing other places, mostly on InterVarsity at Vanderbilt’s blog. I’ve also been feverishly working on my dissertation, trying not to let too much energy dissipate into other projects which can quite often be more interesting to me than my dissertation topic. We have promised you frequent blogging, dear reader, and we will shortly resume our efforts to deliver high quality content to you at no charge. 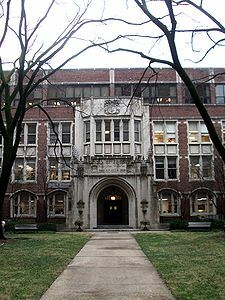 Tish and I have received lots and lots of questions about what is going on with Vanderbilt’s non-discrimination policy and how Graduate Christian Fellowship and other religious organizations who want to retain their ability to select leaders on the basis of Christian belief are responding. The InterVarsity team at Vanderbilt has put together a new blog that answers a number of these questions and that gives our perspective on the non-discrimination policy. Take a look especially at the History section of the blog if you want to familiarize yourself with the background of this issue, and read the FAQ to clarify common misconceptions about the policy and how we are responding. The blog will be updated regularly, so please follow or check back often for news and perspectives. It’s also interesting to note that Vandy + Catholic has just come out with a press release stating that they ‘cannot in good conscience affirm that [they] comply with this policy’ and will not re-register as a student organization so long as it is in effect. The Washington Times, among other news sources, has reported on the press release. Tish is also quoted in the article. I am currently seeking ordination to the priesthood (God willing) in the Anglican church. A respected friend who is a pastor wrote to me awhile ago to ask me why I am for women’s ordination and to urge me not to be ordained because he believes women’s ordination to be condemned scripturally. This was a completely valid email for him to send. His tone and motivation was one of love and I received his words gratefully. I wanted to write him back a long email about how I’ve come to believe that women’s ordination is biblically permissible, but the busyness of a new baby and being in ministry has kept me from it. Now that I’m further along in the ordination process and have been asked similar questions by many other friends – both men and women- whom I respect theologically and intellectually, I wanted to spend some time writing on how I as a Christian woman have gone from being against the ordination of women to being a female Anglican Aspirant. As I thought about how to address this topic, I couldn’t get away from the reality that my theological progression (or regression, depending on your perspective here) has been narratival and incremental. This doesn’t mean that there are not “cold facts” and hard biblical or hermeneutical evidence to support my change in thinking. However, a list of biblical arguments for women’s ordination alone would not have likely changed my theological convictions. Furthermore, it wouldn’t accurately portray my story, which was slow, meandering, and cumulative rather than revolutionary. I will offer the biblical arguments that have persuaded my husband and I that women’s ordination is not biblically prohibited, without which I wouldn’t be getting ordained, but I will offer them as they came in my story, not as a bullet point list. How to Go from Being a Good Evangelical to a Committed Catholic in Ninety-Five Difficult Steps is a recently published book by Christian Smith (It has a lot of buzz, and Jonathan wrote on it here a little while ago). I want to tell about this theological shift in a way that is systematic and yet allows for this sort of narrative unfolding, so I am ripping off Christian Smith’s method. I will spend several posts on How I went from Being Woman Against Women’s Ordination to a Woman Seeking Ordination in 25 Difficult Steps.